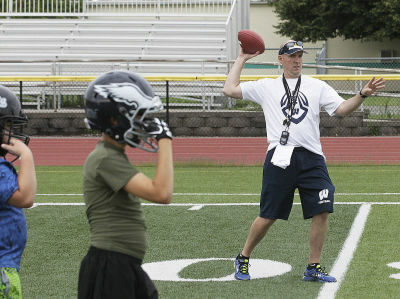 ​"Coach Marean , thanks for putting on such a wonderful camp. This was Damian's first impression of organized football . You and your coaches left a positive imprint on my young man in three days! It gave him a taste of what's to come. Thanks again. We will be back next year for sure!" ​To register for camp TODAY, please click on the registration link below to create an account. Upon completion you will be able to register for this camp and future camps. 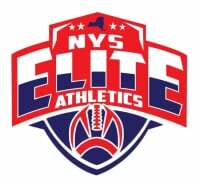 The NYS Elite Athletics will offer the 3rd Annual NYS Elite Finger Lakes Youth Football Camp. The camp is designed to not only teach every camper each postion, but also an opporutnity for them to work closely with high school coaches and their potential youth coach. We will also end each night with a guest speaker to help educate the campers on the importance of being a good all around person. $70.00 ( $80.00 after July 8th) for all three nights. Each camper will recevie a T-shirt if registered before July 8th​. Camp Dates: July 22nd -July 24th 6:00-8:00p.m. Helmet, Cleats, athletic shorts, t-shirt and a positive attitude. To register for camp TODAY, please click on the registration link to create an account. Upon completion you will be able to register for this camp and future camps.